On our return trip home from the annual Thanksgiving in the desert trip we stopped at a truck-stop up in the mountains to top off fuel and to stretch our legs. 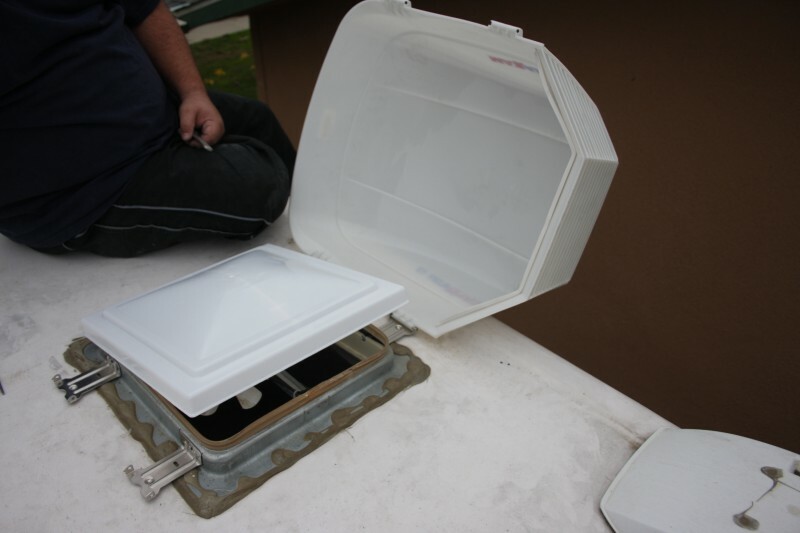 The wife went into the toy hauler and was in the bathroom and she said it felt a little chilly when she looked up there was nothing left of the vent with the exception of the screen and the 12volt Fan. Once we got home and I was able to inspect the damage, it is apparent that the hard sunlight from 3 summers in the Central Valley had taken its toll on the vent cover making it brittle and susceptible to damage, this condition coupled with 40-50 mph cross winds on the drive home basically disintegrated the vent cover. 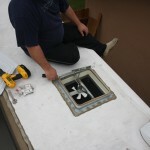 Replacing the vent cover is actually an easy task to repair. 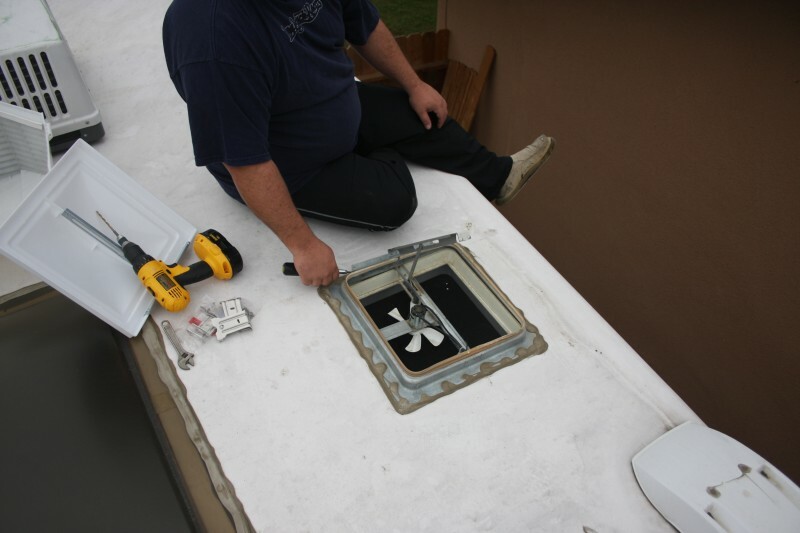 Camco http://www.camco.net/#app=eeba&ff17-selectedIndex=9&d12f-selectedIndex=0 makes replacement vent covers for multiple models and was a quick 5 minute fix, and easily a one person Job, only tool needed is a pair of needle nose pliers to unbend the tabs on the old cover and bend thetabs on the new cover once replaced. 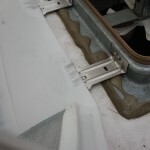 While I was installing the vent cover I also installed a MaxxAir II Vent cover http://www.maxxair.com/maxxair2.html that utilizes hinged mounting brackets that screw into the vent duct work so you do not have to worry about screwing into the top of your roof to install. 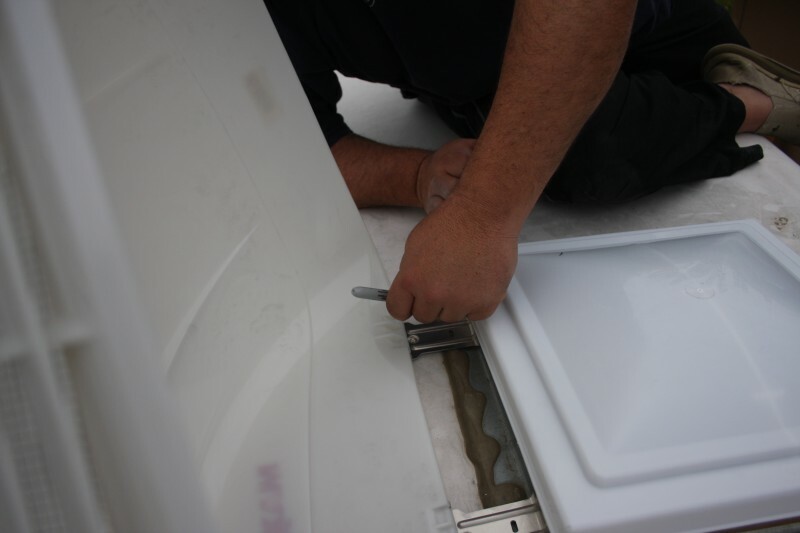 Being hinged it allows you to access the vent without unscrewing cover like most vent covers. 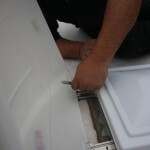 The installation directions have enough detail to make it an easy installation with simple hand tools and a cordless drill. 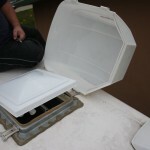 Only complaint I have is that the coach vent cover lid is not able to be raised to full extension. 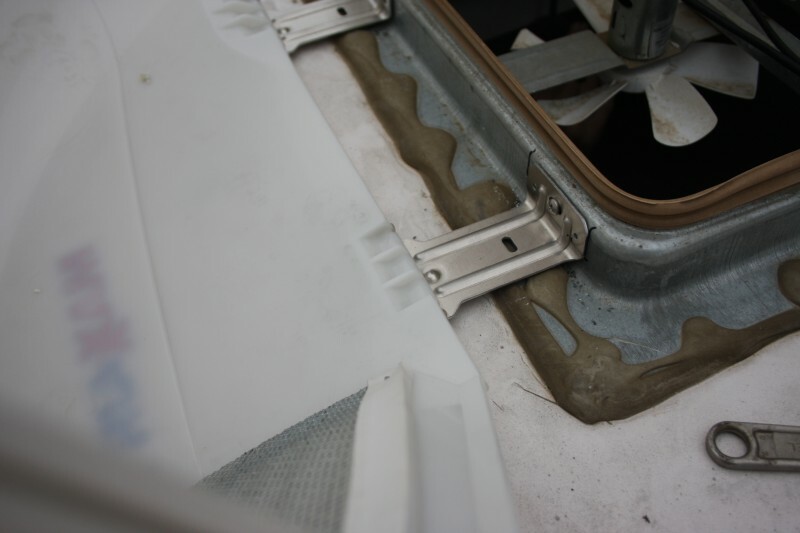 So make sure you drill the holes as far forward as you can to allow for the most vent opening as possible. The MaxxAir II will be a nice addition to the toy-hauler allowing fresh air to circulate while in storage or on the road and not worrying about rainy weather conditions.